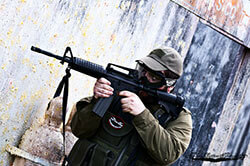 Airsoft is a popular sport favored by many, and this particular activity requires investing on quality equipment. Protective gear is a requirement, and among the protection essentials avid airsoft enthusiasts need to invest on is a good pair of the best anti-fog airsoft goggles. 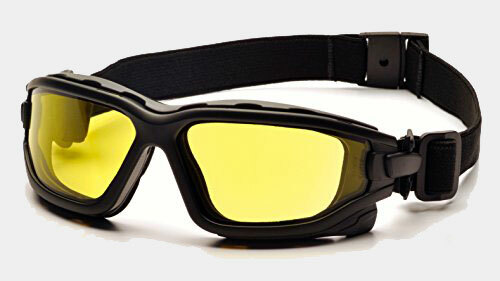 Airsoft buffs know that these anti fog airsoft goggles are necessary due to safety reasons. However, not every pair of standard colored shades being sold out there are fit for use in the field; in fact poor quality goggles fog up hence you must go for something that prevents this occurrence. 3 What is an Anti-Fog Airsoft Goggles? 5 Who Makes the Best Anti-Fog Airsoft Goggles? Here are some products you might want to check out in case you are looking for one. The Pyramex I-Force comes with a sporty and trendy design which will appeal to hip airsoft enthusiasts. Its nifty design is a plus, apart from it being one lightweight product. It is also comfortable to wear, gives protection and is quite versatile. You could wear this anywhere, even outside airsoft activities. It could be a great pair for use while boating, kayaking, cycling or any outside activity where sun protection is required. Because it passes MIL-PRF 32432 high-velocity impact standards, it is a good product to use for uncompromising sports activities and high-risk occupations too. The lenses of this eyewear are comfortable even though it seals your peepers completely. It helps protect them from dangerous splash backs, extreme weather and soaring objects or particles. The anti-fog aspect of this product is made by means of a dual pane lens design that separates the goggles’ variance in temperature inside and outside. The internal lens, which are made with acetate fights back fogging by means of H2X Anti-fog Technology while the external lens, which are made from polycarbonate material, protects the eyes. You can make adjustments on it in case you find it a bit uncomfortable for wear. The goggles are padded, quite flexible and provides enough air circulation so heat is released behind the eyewear. If fit and comfort is something you look for in the best anti fog safety glasses, this product might fit your needs. For people who want affordable, best airsoft goggles that don’t fog, Pyramex has a good range of products that you can choose from. One of them is their V2G model. The product comes with treated lenses so those problematic fogging issues you have had with your weak safety glasses will be nothing but a thing of the past. And to further level up protection, the eyewear also comes with several layers of anti-scratch technology, which is something airsoft buffs need. The glasses come in a nice range of colors too from clear, smoke down to amber. It has a wraparound strap that allows the eyewear to stay secured regardless of how active you may be. 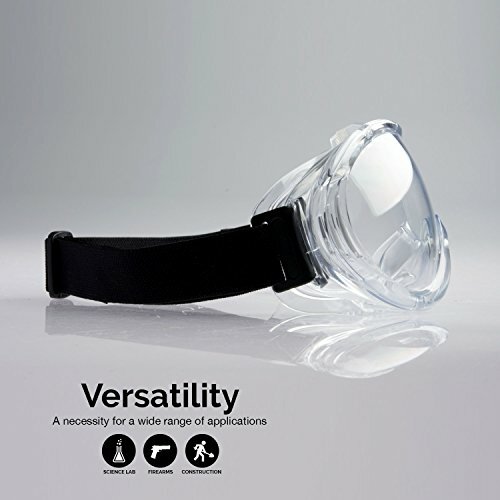 It is designed for high-octane activities so whether you go all out on an airsoft round, swim underwater, climb mountains or skydive, the glasses will stay secure on your head the whole time. Another good thing about this product apart from its anti-fogging properties and UV protection is its flame-resistant properties. 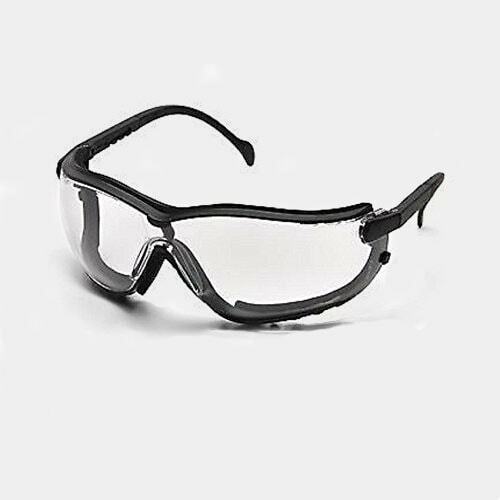 Because of its affordable price point, this is good safety eyewear for amateurs. However, this may be a great companion for professional championship shooters, police/defense forces and active lifestyle enthusiasts too. You might get into the Neiko 53875B due to its spiffy and hip design. The glasses come with vents that work relatively well when it comes to keeping fogging at bay. Another factor that you may be interested in is the product’s cloth-like band. Nearly all safety goggle manufacturers make use of rubberized ones and as we all know, those rubber types can at times tug on hairs and it can be annoying. Because the band has a cloth-like feel, slipping it on and off is a breeze and it will not drag or pull out hairs. However if you are keen on adjustments for a better overall fit, you may need to fiddle with this one for a while. All that work is worth it though since after some good adjustments, the eyewear feels really comfortable. The eyewear comes with padding all over its edges plus it also includes a kind of indentation on the sides to further give support to the eyewear’s arms. Due to its huge comfort factor, this is one of the most comfortable safety goggles you could use. 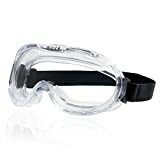 One thing you need to consider about this product though is that the goggles’ bottom parts are unsealed and this can lead to exposing your eyes to smoke or fumes. 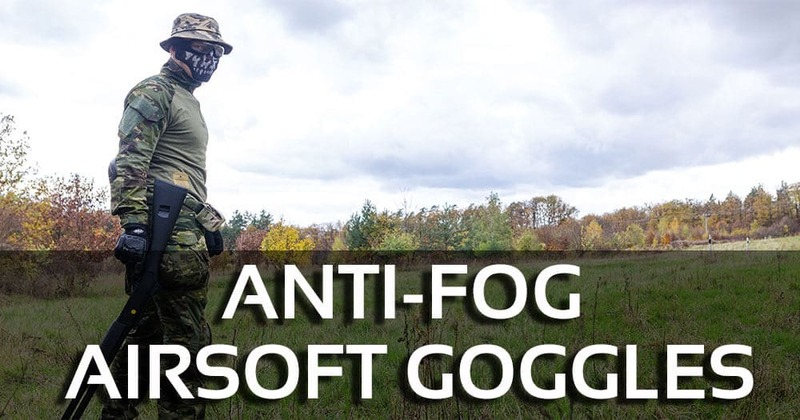 What is an Anti-Fog Airsoft Goggles? What causes fogging in glasses in the first place? This is something consumers need to know so they can prevent this from happening. One reason why this takes place is the fact that there is temperature difference between the glasses and the user’s face. The face is warm and it heats up even further due to physical activity; this leads to warming the internal section of the eyewear between the eyes of the user and the goggles, hence fogging takes place. This is the primary duty of anti fogging goggles; to keep this particular problem from occurring. There are important features that you need to take into consideration when looking for such an item. One feature you must watch out for are ventilation slits, which can be seen on the sides of the eyewear or all around it. These ventilation slits must operate effectively though and give sufficient air flow for a balanced temperature. You can read reviews about related products online and check out whether the eyewear you are interested in works in that aspect efficiently. Reviews for these products are often honest and it could provide the information you are after. The products I have described and reviewed in this article all show the essentials that consumers need to know in order to make well-informed buying decisions. At times though, you need to take into consideration other aspects that help enhance the capabilities to the product even more. Comfort is one factor that you should check out since you might wear this for hours on end during high-energy activities. The glasses should have a secure yet comfortable fit and they should stay in place even during the most rigorous of activities. Other than that, if you often do demanding physical activities, you must also look for glasses whose interior lenses are treated with anti-fog materials. A good pair of safety glasses also come with exterior lenses that are treated with polycarbonate so it can resist scuffs, scratches and impacts. You need excellent visibility while doing rounds of airsoft so lenses with this finish are handy and helpful. Who Makes the Best Anti-Fog Airsoft Goggles? There is a good array of safety glasses manufacturers in the market today so there’s a wider variety of products out there. However, the product needs to comply with your needs, and this can be the difficult part of your search. Thus far, I have discussed 3 products on this article, with each product having different things to offer. Who makes the best product will depend on you, the consumer since your needs are the priority. To conclude this article, I am going to recommend the better product among the lot. The Pyramex I-Force Sporty Dual Pane Anti-Fog Goggle has the best features and provides excellent bang for your buck. One aspect I loved about this product was its versatility. It has a stylish design which makes it a nice pair of goggles to wear on practically any type of physical sport, not only airsoft activities. However we do differ in terms of priorities. In case you are after comfort, products like the Neiko 53875B Protective Anti-Fog Safety Goggles and Pyramex I-Force might be perfect for you. Those products give great comfort so it is recommended for people who like immersing themselves on hours of physical activity. Meanwhile if you are after the best anti-fog airsoft goggles and impact resistance, the Pyramex V2G Safety Glasses might be more your speed.